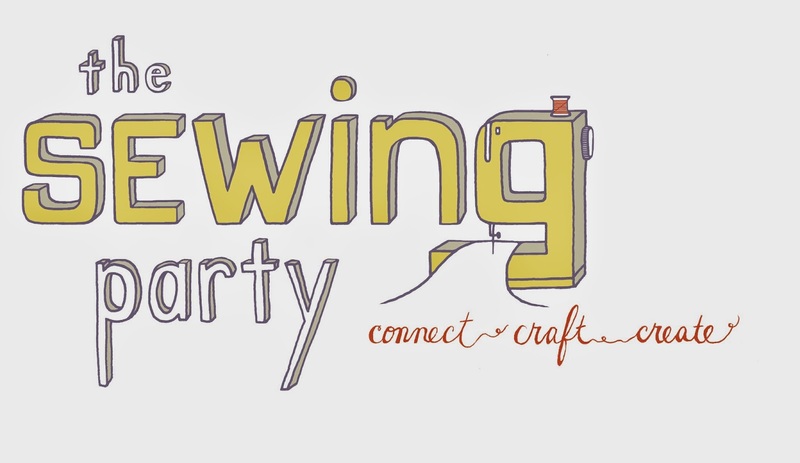 I'm really excited to be part of the team announcing The Sewing Party, the first-ever all-day online sew-along! On November 8, 2014, thousands of DIY-ers will gather for a fun-filled day of sewing and crafting classes taught online by leading bloggers and educational experts. It’s all about connecting, crafting, and creating. Attendees will have access to more than 30 online classes available on the day of the event and for an additional 90 days. There is truly something for everyone. Classes include home décor, fashion sewing, quilting and upcycling, crafting, costume design, techniques for turning your craft into an entrepreneurial venture, and more. For a one-time fee of $40, The Sewing Party participants can attend classes, chat with participants from across the country, interact with top bloggers and educational experts who are teaching; and explore the latest crafting and sewing tips, techniques and products in our marketplace. This is just a partial list of bloggers who will be partying along with everyone, and the exciting list of teachers can be seen HERE. What class would you most like to take as part of The Sewing Party? What project will you work on when you have an uninterrupted day of sewing for The Sewing Party, November 8th? What is the favorite project you've completed in 2014? Please leave me a link to where I can see it! I will select 5 random winners later this week. My favorite project is one I struggled with a lot! I made it from what my brother-in-law and his future wife wanted. This is a fantastic idea! I cannot wait! I'd love to take the "Sew a Tate Top" class. I'd love to start learning to sew clothes, but haven't actually taken the plunge yet. Thanks for the opportunity! I've always wanted to take a class with Jennifer Mathis so I'd like to take hers. Also, Understanding Color from the Inside Out looks very interesting! I would love to take the Zen of Machine Quilting class! Ok, the bra making class sounds really interesting. Totally out of my comfort zone, but why not?! I would love to take the patchwork slipcover class with Bari J. I am a quilter at heart but I have a chair that I need a slipcover for and I have no idea how to go about fitting one. So that class would be perfect! Thanks for the chance to win. What a great idea! I would love to take part, and I looking through the classes, there were several I was interested in, including the cosplay and pattern making classes. I have had a hard time coming up with a steampunk outfit that is ME. I love the idea! I would love the handbag class! I'd like to watch the Understanding Color Class with Carrie Bloomston, as well as a bunch of others. Thanks for the chance to win! I would love to take color class! I would take that day to finish my mom's quilt. It is churn dash blocks in cool colors. I need to take the applique class. I would definitely take the Piecework – Pojagi Style class! I would like to take Carrie Bloomston's class - Understanding color from the inside out. Definitely on my list: Everything You Need to Know to Make Beautiful Clutches, Purses and Totes. I'll be working on a Studio Cherie duffle, one of the three I'm making for friends before our annual retreat. Favorite finish this year was my son's City Lights graduation quilt (he graduated in 2013...oh well, worth the wait, he loves it!) #quiltfinish #citylightsquilt Finally finished Sam's graduation quilt yay! !